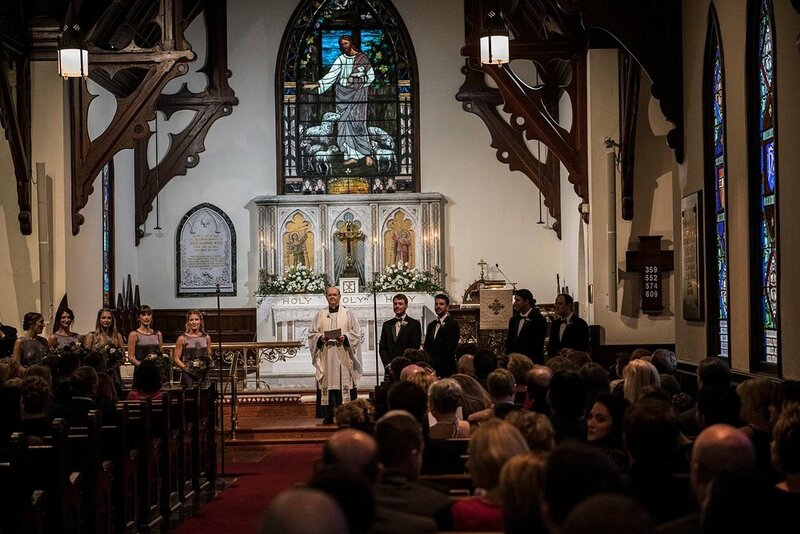 When two former Medical College of Georgia students decide to get married in the groom's hometown, there is only one venue that really fits the bill. 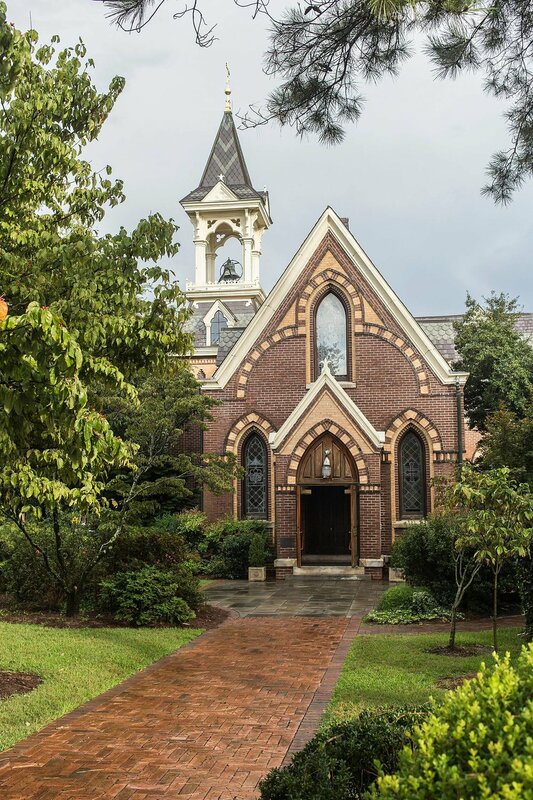 The Old Medical College in the heart of downtown Augusta. 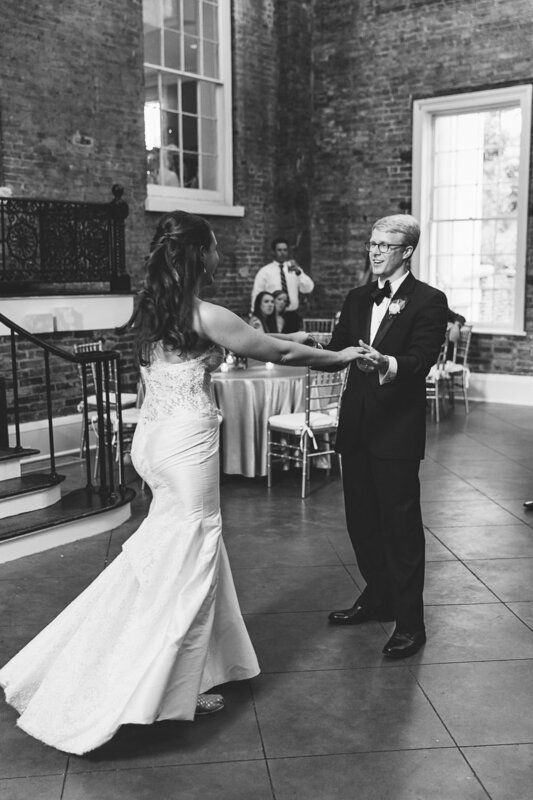 Ashley and Thomas, currently both residents living in Atlanta, knew immediately that this venue was the perfect fit for them as it was the original location of the first ever medical college in the state, now the current MCG! 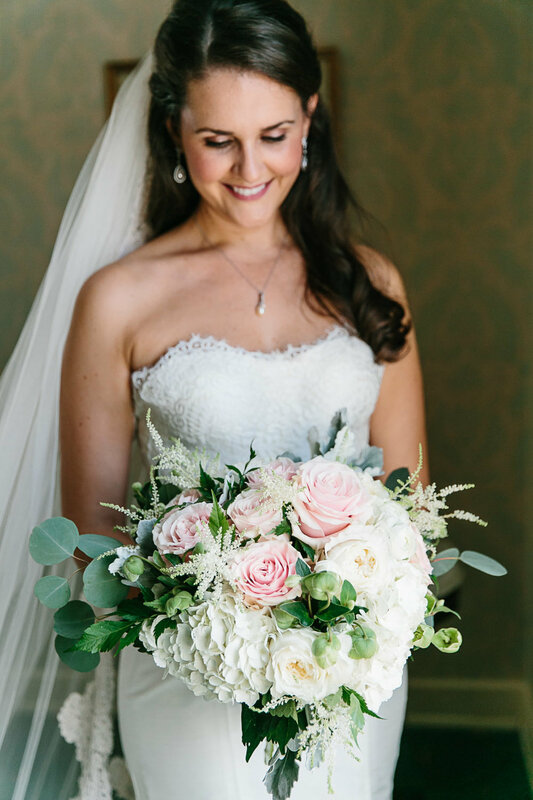 From our very first meeting, Ashley knew she wanted a color palate of soft blush pinks and neutrals. 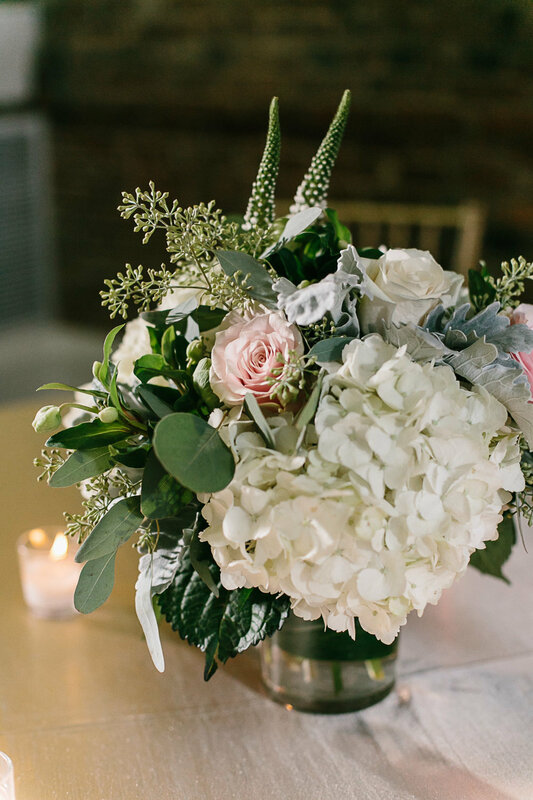 Lush, feminine, and romantic. 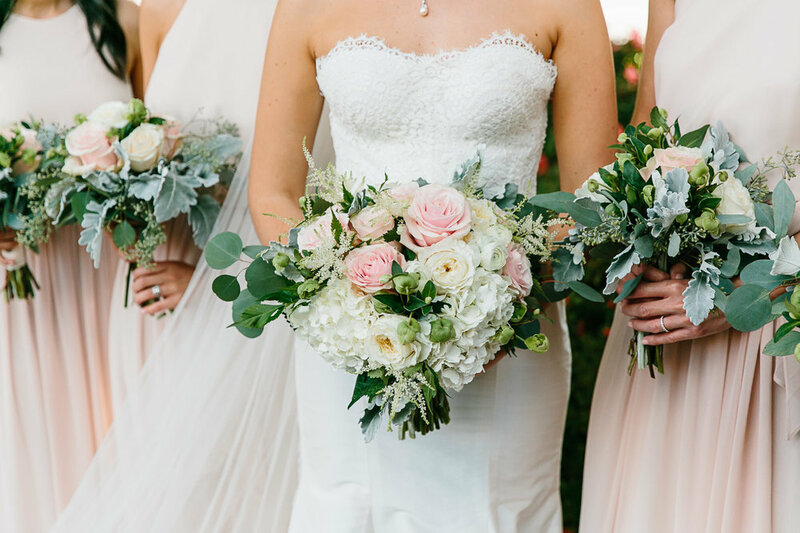 Our floral designers created beautiful bouquets of blush pink and white garden roses, white hydrangeas, hellebores, astillbe, and eucalyptus. 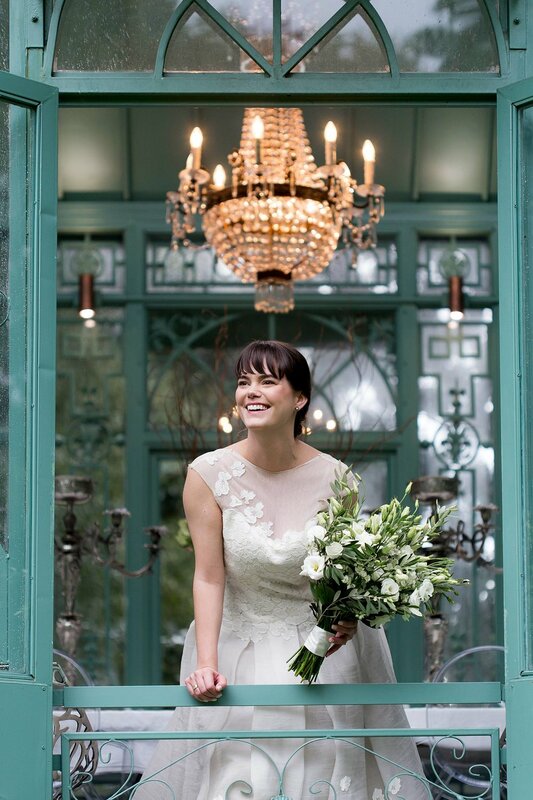 The stunning portraits by Mark Williams Studio below showcase them beautifully alongside the bridesmaids' Donna Morgan dresses. 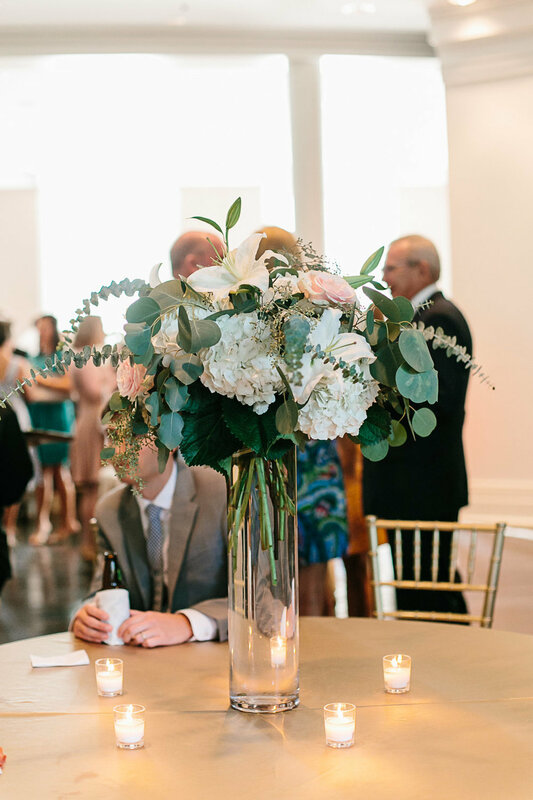 The groom's boutonniere was composed of a single white ranculus, while the groomsmen boutonnieres were made of hellebores and some seeded eucalyptus. 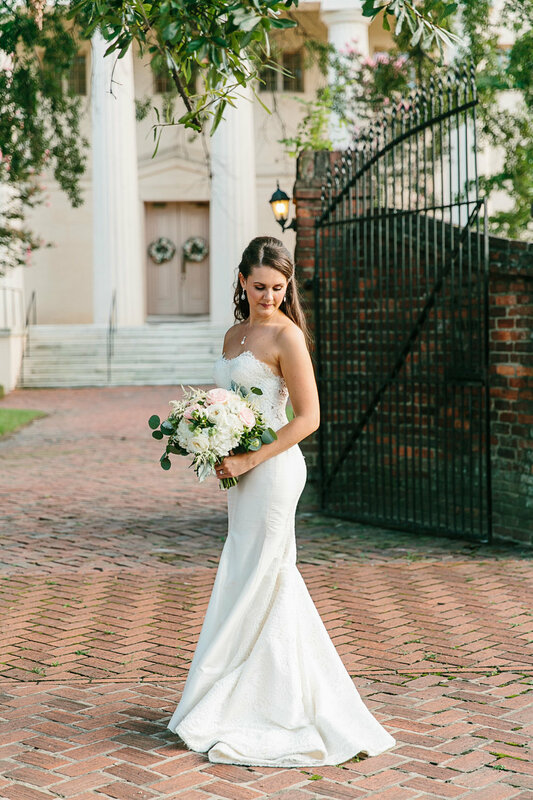 Ashley and Thomas decided to have a first look which took place inside the historic Reid Memorial Church in the Summerville neighborhood of Augusta. 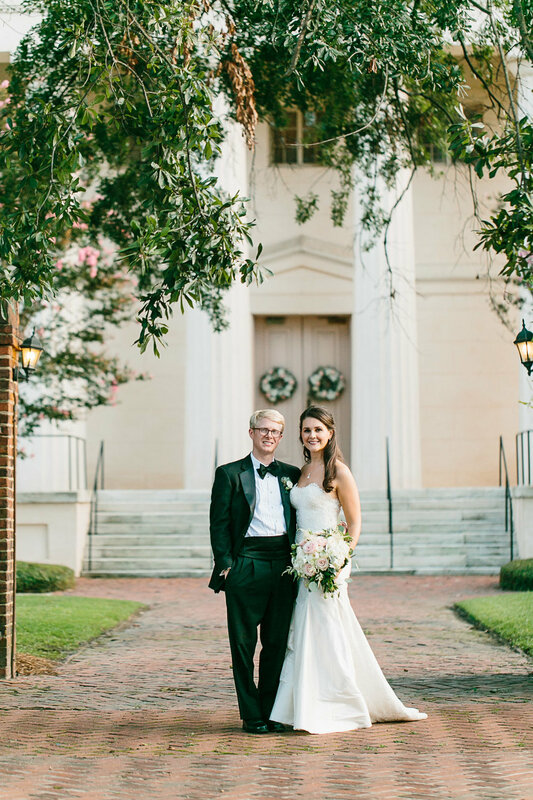 Following the five-thirty ceremony at Reid Memorial, guests made their way downtown to the Old Medical College to enjoy a delicious southern meal by Tastefully Yours Catering. 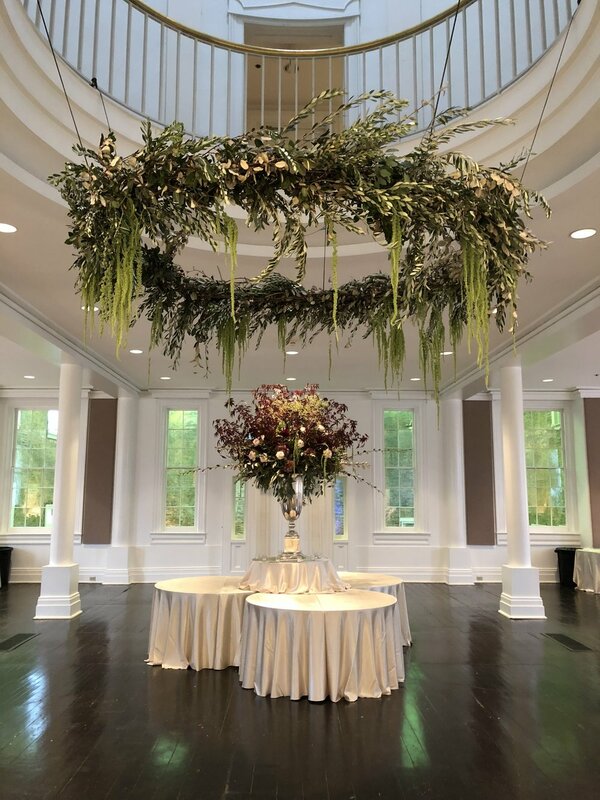 The same florals used in the personal florals were continued into the floral design of the reception as well. 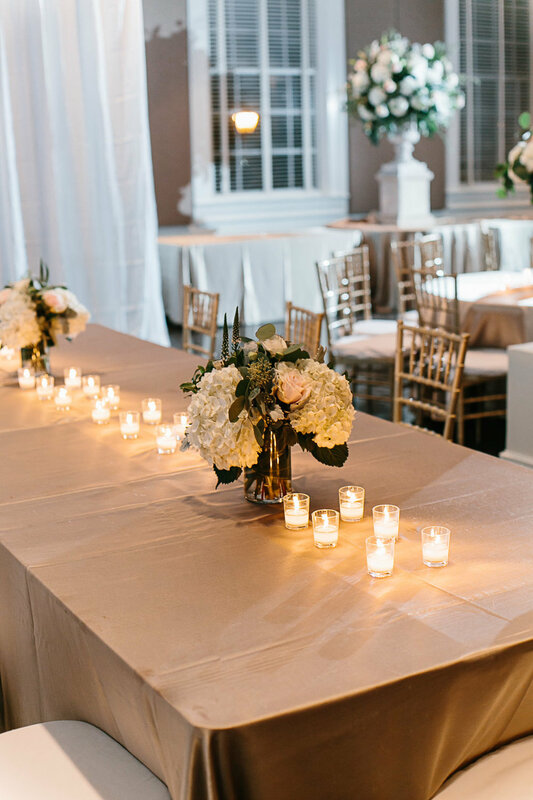 We draped the tables in champagne linen, lots of votives for ambiance, and finished them off with arrangements composed of lots of seeded eucalyptus, garden roses, hydrangea, and dusty miller. While guests munched on passed appetizers and the most beautiful charcuterie display you will ever see, our bridal party was announced and we kicked off the evening with Ashley and Thomas's first dance to the Etta James classic, "At Last." 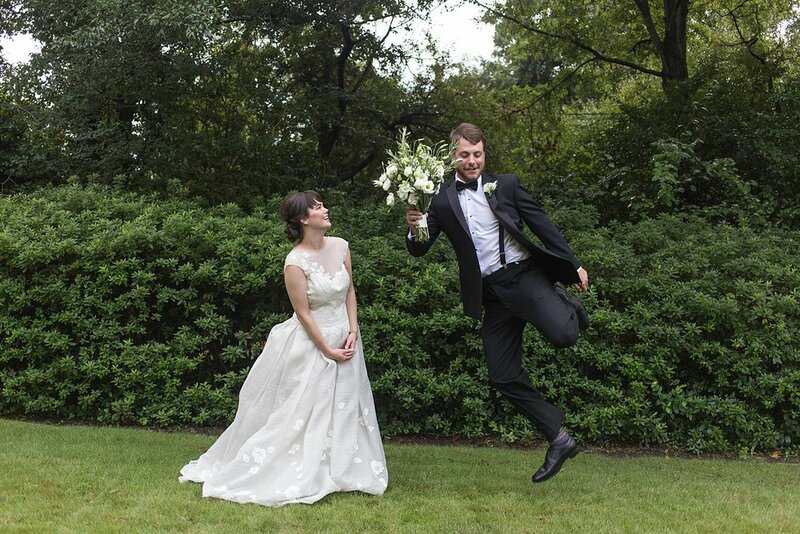 Make sure to scroll down to the very end to see some of the prettiest sparkler exit images we have ever seen. 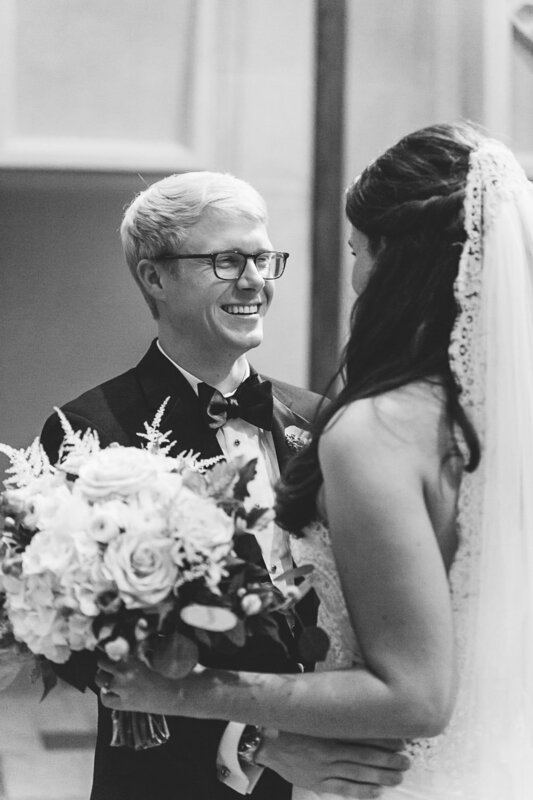 Ashley and Thomas, thank you for entrusting us with such an important day. 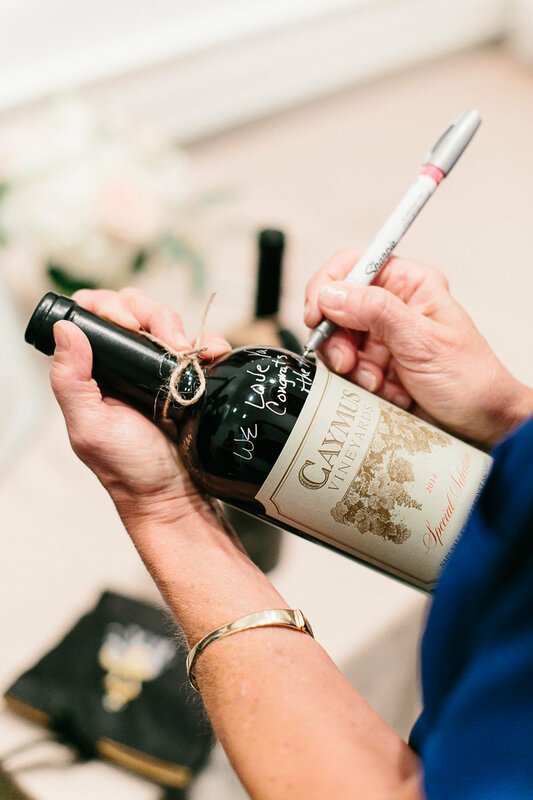 It was so special to be a part of it and to get to meet your wonderful family and friends! Congratulations and we wish you many happy years ahead!